From the ashes of conflict, two Governments have come together, agreed to jointly implement a peace agreement, law and order and normalcy has returned. With limited capacity and resources, there has been real progress in implementing the Peace Agreement. Progress is made but hard earned. • Safeguard and preserve our unique customs, traditions and cultural identity. • Seek justice, equality, a peaceful and secure society through democracy. • Strive to eliminate discrimination, poverty, illiteracy, unemployment, disease and corruption. • Creation of development opportunities and sustainable livelihoods for all Bougainvilleans, both present and future generations. • Safeguard and utilize our natural environment and natural resources for the betterment of all our people in a sustainable manner. • Empowerment of people and communities to improve their wellbeing and self-reliance. 5. Building public awareness of the Peace Agreement and the Autonomous Bougainville Government’s policies. • Limited mass media/telecommunications reach and infrastructure. “Your assumptions, and an apparent bias, were reflected in your choice of research partners with well-known records of vehement anti-BCL views. The PNG researchers chosen to do the interviews are also people well-known in Bougainville as holding similar views. 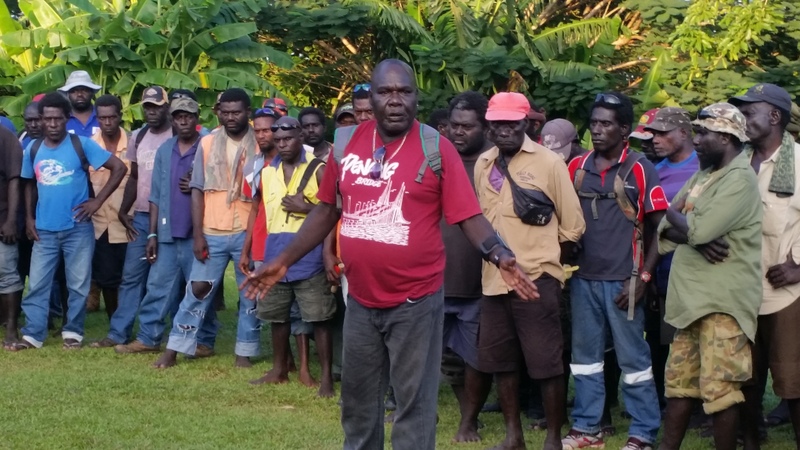 The President of the Autonomous Bougainville Government (ABG) today released a statement about the refusal of Australian NGO, Jubilee, to respond to three letters he has sent them since October raising questions about a Jubilee report on Panguna landowner views on mining. He said their refusal to answer his questions demonstrated ‘shameful ignorance and arrogance on the part of Jubilee. In a series of letters to the Jubilee in October, November and December 2014, President Momis questioned research methodology used, false claims made on the basis of interviews with a tiny selected group of opponents of mining, many serious factual errors in the report, and the track record of opposition to BCL and Rio Tinto on the part of Jubilee Australia’s research partners, Kristian Lasslett and the Bismarck Ramu Group. “You proudly proclaim to be a scientific research organisation. But your research on Bougainville has been unethical and deeply flawed. He went on to say that the Jubilee Report “was clearly based on false assumptions, and those same assumptions have been evident in claims made both at many points in your report, and in statements by your CEO, that there is near unanimous opposition to mining in the landowner communities in the former leases associated with the Panguna mine. 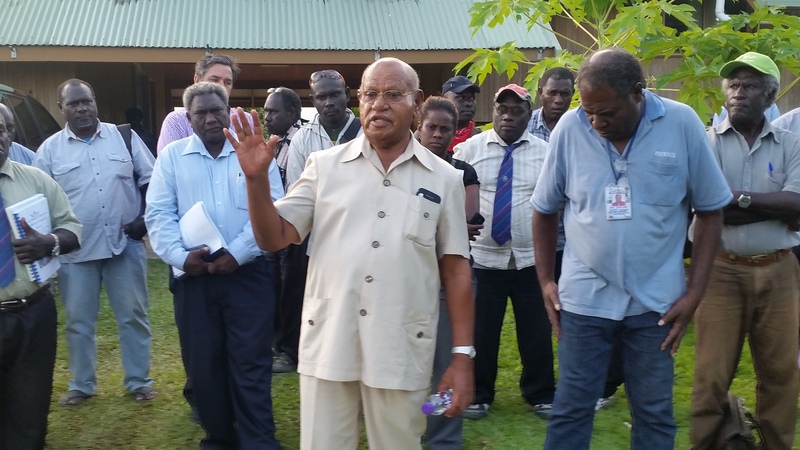 “My Government is on the ground in Bougainville. Elected members and government officers have for many years constantly consulted landowner communities from the former Panguna leases, with the organisations established since 2010 to represent those communities, with leaders of the various Me’ekamui organisations in the area, with Councils of Elders and Village Assemblies in the area. While there is undoubtedly a range of views on the future of mining at Panguna, the only way of getting 63 interviewees opposed to mining would be to carefully select them. If your report stated clearly that that was what you had done, there would be little complaint. But the report does not do that. It dissembles. “Moreover, you compound your error by numerous absolutely false statements about the views expressed in the interviews being representative of all in the area. “In short, there is no doubt at all that those doing the interviews in Bougainville on which the report claims to be based carefully chose a small group of opponents to the resumption of mining. “The report was written by a person from one of your partner organisations with a clear record of a particularly unbalanced view on BCL. “Your assumptions and bias were further demonstrated by your deliberate refusal not only to consult the ABG, but also to give it any opportunity to comment on a draft of the report before rushing to publish. “You have also refused to respond to my questions about the ethical standards of the research, and your adherence to PNG law in the conduct of the report. “By your refusal to answer the issues and questions raised in my three letters (above), you simply raise more doubts about your standards, your accountability and your bona fides. “In all the circumstances, your behaviour is shameful, and your claims to be a scientific research organisation seem little more than a joke. The Department of Health in compliance to the Autonomous Bougainville Government and in accordance with the autonomy arrangement has developed a master plan, the health department representative Dr Simon Disin has revealed. “The master plan commenced in 2012 and will be terminated on the year 2030,” he said. When giving his speech during the agreement signing between World Vision and the ABG Health Department yesterday, Dr Disin said that under this plan, the department had two other strategic plans under which the annual implementation plans take place. He said also that the department of health in order for it to partner with other stakeholders to deliver basic important services to the people in Bougainville, had instituted a partnership committee that takes place every quarter. So under this partnership arrangement, the health department intends to organise all their resources and their partners to participate in the delivery of service to the people of Bougainville. Therefore, the department of health under the leadership of Dr. Anthony Pumpara, is taking steps to collectively use resources through what is called the integrated outreach program. This integrated outreach program which began in the most remote areas of Bougainville last month ended last week. 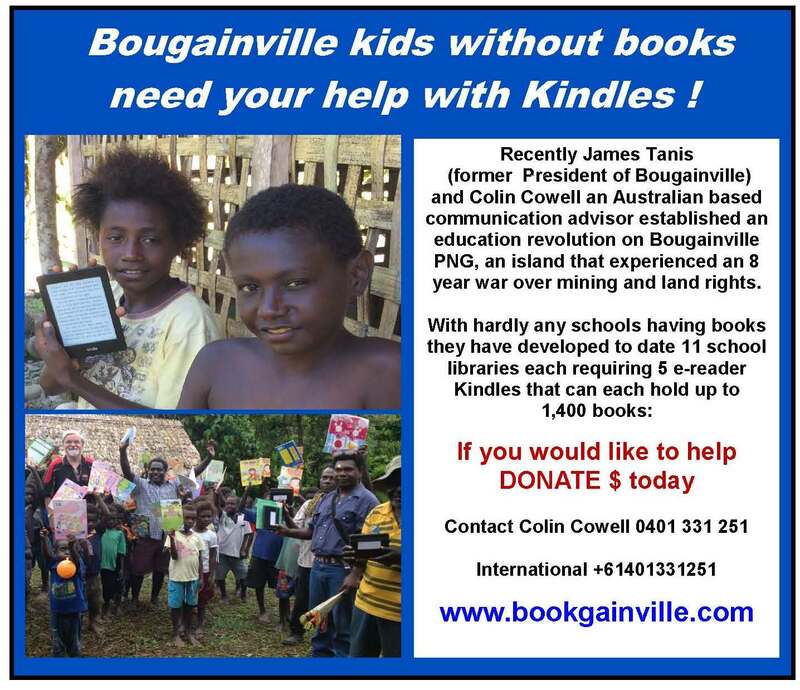 This program according to Dr Dissin is the intention of collectively addressing the needs of the people of Bougainville at the root of situations. “And in this I think that if we can collectively utilize resources, including resources of our partners, we will harvest the greatest benefit,” he stated. Dr Dissin is very pleased that World Vision has arranged this agreement to be signed, so they can work in partnership and understand each other as they implement for the benefit of the people of Bougainville. And with the current new health restructure process going on, Dr Dissin has announced that the MOU signing has triggered him to include an NGO coordinating unit within their structure so it will become the basis for coordinating all NGOs with the department of health. He then explained that the CT scanner can be used to look at someone with head injuries, facial injuries, fractures, any injuries in the brain and it can also look at the tummy, chest, it can look for lumps, neck lumps, or cancer in the stomach or chest. He added that they can also use the CT scanner to look at broken joints or broken bones. Mr. Hunt said he will be in Buka for two weeks but he is still learning but the two trainees will learn for a long time because they have lots to learn in a very short time. He added that the technology used to operate the CT scanner is different from what the two trainees are used to but they are catching up and are getting around with the software. The two radiographer trainees are Jenny Gimots and Edwin Tsikoa. 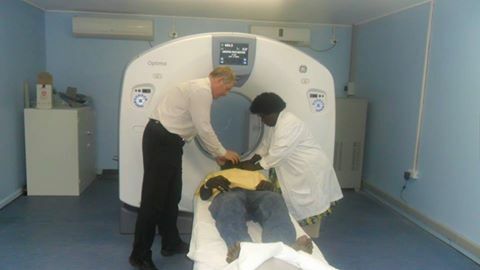 The CT scanner was made possible through a K1.7 million funding from the regional member Joe Lera and the contractor contracted to install the machine was Premier Healthcare. The chief executive officer for Buka General Hospital Dr. Cyril Imako has acknowledged and thanked the ABG regional member Joe Lera for spending roughly around K1.8 million to purchase the CT scanner machine for Buka general Hospital through the Premier Healthcare Company. He told New Dawn Fm in an interview yesterday that Buka General Hospital is the third Hospital in Papua New Guinea to have a CT scanner machine apart from Port Moresb…y General Hospital and Pacific International Hospital in Port Moresby. He revealed that the installation process of the machine which started last year is still continuing and the last bit that the engineers will be doing now is to connect the machine to the hospital’s standby generator saying it is important that the machine receives constant power supply. He said two radiographers at the Buka General hospital are now undergoing training on how to use the machine because no prior training was done on how to use this machine. He added that after this two weeks training, the two trainees will be travelling to Melbourne to receive further training for another two to three weeks. Dr. Imako revealed again that the machine has not been commissioned as yet because the CT scanner needs expert inspection to ensure it has met all requirements before it can be used to attend to patients. The Speaker of the Autonomous Bougainville Government House of Representatives Andrew Miriki today officially issued the writs for the forty constituency seats in a rather small but very significant ceremony at the ABG parliament chamber this afternoon. This significant ceremony saw the acting electoral commissioner for Bougainville present to the speaker writs for the forty constituency seats, including the three regional… seats for women and the three regional seats for the ex-combatants for his signature. Mr. Manu who spoke before handing over the writs to the speaker for his signature thanked the president, his cabinet and the chief secretary for making funding available so that his work will continue. He then assured the Government that the Bougainville electoral commission is ready to conduct the election as per the election schedule. The ABG speaker who was on hand to receive the writs and sign them as is his duty as per the Bougainville constitution formally issued the writs after 4pm this afternoon for the Autonomous Bougainville Government’s election for 2015. Mr. Miriki revealed in his statement that he is satisfied with the work done so far by the acting electoral commissioner for Bougainville George Manu and that he has confidence in his leadership in ensuring that elections are conducted in the spirit of democracy. He said the issue of writs will pave the way for the third general elections for the autonomous Bougainville government since the first election in 2005. Therefore the speaker is appealing to all Bougainvilleans to work together with the electoral officers to ensure the election is conducted in a truly fair and just manner. Also present to witness the issue of writs was the ABG president chief Dr. John Momis, his entire cabinet, electoral commission officers, and officers of the Australia, New Zealand and Papua New Guinea electoral commissions and the media. 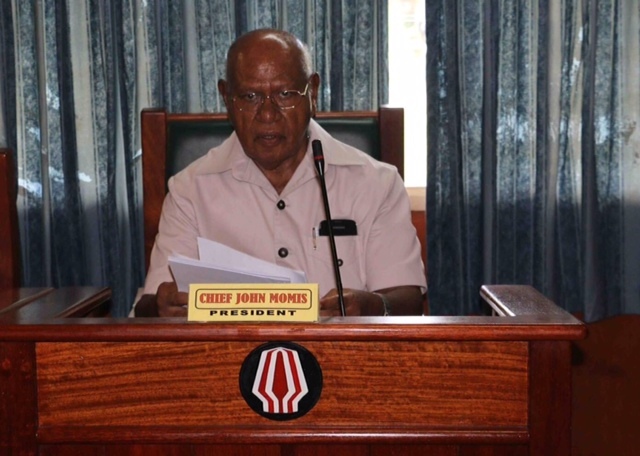 The permanent mining bill as revealed by the ABG president Chief Dr. John Momis is truly a historic deal and is also the result of this government over the five years that they have been in office. When making his statement on the mining bill in parliament this week, the president stressed that with the passing of this bill, the people of Bougainville will now turn their backs on more than fifty years of injustice in mining law tha…t began when vats deposits of copper and gold was discovered in Central Bougainville. It was fifty years ago when Bougainvilleans were told that they only had rights to the surface of the land and that they were not landowners of their own land. But with the new mining bill, Bougainville and its people are completely rejecting the terrible past. The president then revealed that the new bill recognizes that all owners of customary land own all minerals in, on or under their land and more importantly the bill gives special powers, rights and protection to such owners.The bill also recognizes that people in areas for tenements associated with a binding lease must be given special recognition because of the impacts a mine is likely to have on them. Therefore, the rights and needs of the owners of the minerals will be given the highest level of protection and in particular the owners will have powers to stop either or both exploration on their land or the grant of a mining license over their land. Chief Momis said if permission for exploration is granted, landowners will be entitled to rents and compensation and if permission for development is granted, the landowners will be entitled to rents, compensation, a share of royalties, proper treatment under resettlement plans and programmes, preference in mining employment, business related opportunities, 5 per cent free equity ownership in the mine lease holder and much more. The bill also encourages direct participation of Bougainvilleans in the mining industry. This as revealed by the president and other related provisions such as small scale mining are new directives for mining in Bougainville. The Autonomous Bougainville Government passed a new ‘long-term’ Bougainville Mining Law on Thursday 26 March 2014. In his second reading speech in the Bougainville Parliament on Wednesday, the President spoke of the ‘misery, destruction and conflict’ caused for Bougainville by colonial mining law. He said that in passing the new law Bougainville was ‘rejecting that terrible past’. He went on to say that if Bougainville landowners do allow mining development ‘they will be entitled to rents and compensation, a share of royalties, proper treatment under resettlement plans and programs, preference in mining employment and business related opportunities, 5 per cent free equity ownership in the mine lease holder, and much more’. He stated that the law also offered protections and benefits to people outside the mine area likely to suffer environmental and social impacts. He said: ‘But in a place as small as Bougainville, where our communities are so closely connected, large mines have impacts on every part of the Region.’ As a result, it would be the responsibility of the ABG to look after impacts on all peoples. This would include ensuring that there was a spread of economic benefits, for inequitable development, where just landowners with minerals became wealthy, would only cause divisions and conflicts. It was difficult to find the the money needed for such things, he said: ‘Right now we Bougainvilleans are not much better than beggars. We beg for our entitlements from the National Government. We beg and cajole the donors. ‘True autonomy, or true independence, will only come when we have our own sources of revenue, capable of providing the best possible services to our people. ‘It is an unfortunate truth that .. the only way any of us can see of generating this revenue is mining. But we need to approach this with great care. Mining itself is not a sustainable activity, as the minerals are a finite resource, and once they are gone they are never replaced. So the key will be to use the mining revenue wisely, to promote and generate sustainable economic growth. This is why it will be essential to invest in health, education, clean power, and good transport. The President went on to say that he had ‘no idea if BCL will return. … BCL’s parent company, Rio Tinto, is in the process of undertaking a review of its investment in BCL. It’s entirely possible Rio will decide to walk away from that investment. If that happened, we would have to look at other options. ‘But our options with mining are not limited to Panguna. There are many difficulties involved when considering re-opening Panguna. There are divisions about the issues involved. There are high expectations about compensation and related issues. And if demands of this kind are too high, the project will not be economic. So at this stage, the ABG does not know whether Panguna will ever re-open.But we also know that there are leaders and communities in other parts of Bougainville that want mineral exploration. And as always, my government remains ready to talk to such areas. He said that the ABG is not focused solely on large mines is instead strongly supporting small-scale mining. An innovative system of Community Mining Licences administered by COEs and VAs is directed to encouraging Bougainvilleans to generate their own revenues, but also to mine in ways that are safe for their health, and for the environment. I rise to speak about this Bill, which is the result of very intense effort by my Government over the whole five years we have been in office. It is an historic Bill. In passing this Bill, we, the people of Bougainville will turn our backs on more than 50 years of injustice in mining law that began when vast deposits of copper and gold were discovered in central Bougainville. Mr. Speaker, it was only 50m years ago that we were told that we were not really owners of our land. The colonial Government and CRA told us we only had rights over the surface of our land. If there was anything in the land that they thought was valuable, they could push us off our land without our agreement, take what they wanted, and destroy the land, leaving a huge hole. In the 1960s, as planning for a huge mine proceeded, the Australian Minister for External Territories – Charles Barnes – was asked what the ‘natives’ would get from the mine, he said “Nothing”. But he was wrong. In the end we got misery, destruction and – ultimately – conflict. With our new Mining Bill, we are completely rejecting that terrible past. The Bill recognises that all owners of customary own all minerals in, on or under their land. More importantly, the Bill gives special powers, rights and protections to such owners. It also recognises that people in areas for tenements associated with a mining lease must be given special recognition because of the impacts a mine is likely to have on them. the grant of a mining licence over their land. An amazing amount of nonsense has been spoken by the very few people that have opposed this Bill. Nowhere has there been more nonsense than in a Petition supposedly prepared on behalf of some people from Tinputz. Only Bougainvilleans can do small scale or artisanal mining, under community mining licences and artisanal mining licences. We encourage small-scale mining, for we have abolished restrictions in PNG law that mean most small-scale mining is illegal. There is also provision allowing companies controlled by landowners to apply for exploration licences over land owned by those landowner’s. These and related provisions are new directions for mining law in Bougainville. The Bill also encourages direct participation of Bougainvilleans in the mining industry. It does this in many ways. If they later grant permission for development, they will be entitled to rents and compensation, a share of royalties, proper treatment under resettlement plans and programs, preference in mining employment and business related opportunities, 5 per cent free equity ownership in the mine lease holder, and much more. If they grant permission for exploration, they will be entitled to rents and compensation. It says the landowners are stripped of their powers and have no rights. But in fact, owners have more rights and powers under this Bill than landowners anywhere in the world. In particular they have an absolute power to prevent exploration and mining on their land. The petition claims that landowners are subjected to criminal penalties under the Bill, and that mining corporations are not subject to such offences and penalties.This is completely wrong. Offences are not directed specifically at landowners.Companies face huge penalties for a wide range of offences, including such things as failure to pay compensation, rents or royalties. And that is right and just.The petition complains about a criminal offence about withdrawing survey pegs. But that should not be a problem for landowners under our law, because they have an absolute right to refuse permission for exploration or mining licenses. If they refuse, there will be no survey pegs. If they agree to licenses, most will want to see the survey pegs, because it will be those pegs that will define the areas that receive rents, equity, compensation, royalties, and so on.There is a world of difference here that the person writing the petition simply ignores. The Petition says that ‘without the people’s consent’ that ‘the Moratorium has been lifted’ by the Bill.That is completely untrue! In fact the Bill specifically maintains the Moratorium imposed on Bougainville since 1971. The National Mining Act says such a Moratorium can be imposed, or lifted, by the PNG Minister for Mining. But under our Bill, it will remain unless lifted by the whole BEC. Not only that, but the proposal to lift this House will first have to be given the opportunity to debate the proposal to lift it.This is intended to ensure that in future there is full transparency in major decisions about mining. That is an approach built in throughout the Bill. The Petition complains that there are lots of PNG laws that will still apply in Bougainville that will affect mining.Perhaps the person who prepared the petition is not aware that we are still building autonomy. So drawdown of powers from PNG is still continuing. But some of the National laws the petition says are still applying have in fact been drawn down – for example, the author of the petition is clearly ignorant of the fact that the PNG Public Finances Act has been replaced by a Bougainville law. That person is apparently also unaware that we are in the process of drawing down other powers that the petition complains about – especially those covered by PNG laws on the Environment, and Mining Safety. The petition says making land available for reconnaissance licenses, exploration licenses and other mining licenses breaches customary law.But in fact, by giving all customary landowners the right to refuse access to their land for any such license, the Bill fully respects, supports and endorses customary law. Mr. Speaker, There is much else I could say about the inaccuracies in the petition. But I will not waste any time on this nonsense.Mr. Speaker:My Minister for Mining, Hon. Michael Oni, has already talked about the long history of development of this Bill. It goes back to the time of President Kabui, and has involved many steps, including the Transitional Arrangements Act. But at all stages we have been committed to recognition of ownership, and on protecting rights of landowners. Mr. Speaker, At the same time as protecting landowners where minerals are located, the ABG is not just the government of the owners at Panguna – or the owners of large mineral ore bodies wherever they are later found in other small areas of Bougainville, like Tinputz or Sinimi or Eivo.No – the ABG is the government of all Bougainvilleans. So we must balance the rights and needs of mineral rich landowners with protecting the interests and rights of all other Bougainvilleans. 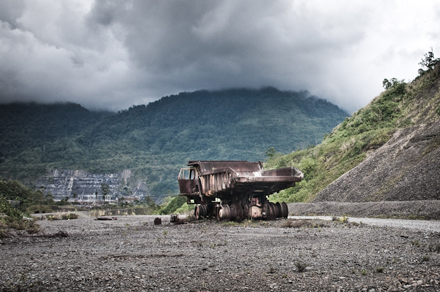 Any kind of mining, and especially large-scale mining, has impacts on other Bougainvilleans. The biggest impacts are usually felt by people in neighbouring areas. They include environmental and social impacts. But in a place as small as Bougainville, where our communities are so closely connected, large mines have impacts on every part of the Region. We all know how climate change is caused by emissions of greenhouse gases. Well – depending on how mining is carried out, it can contribute heavily to such emissions. For example, in BCL’s 2012 order of magnitude study, they propose that if BCL is to come back to Panguna, the huge power supply for the mine should come from a coal-fired power station. The reason is that coal would be cheap for BCL. But burning coal would result in significant greenhouse gas emissions. So we would be contributing to sea level rise, at a time when our atolls face being lost to ocean-level rises.So the ABG opposes coal fired electricity generation. Instead, we support rapid development of clean energy. That could involve hydro, geo-thermal and tidal or wave powered generators. Hydro power generation projects are under way. But we need much more of this so that if large-scale mining resumes, it’s done in ways that minimise environmental impacts.Other impacts that large mines can have include the social and cultural impacts of the presence of large numbers of people from outside Bougainville. We must control mining in ways that manage those impacts.Because all of our people feel such impacts, it is vitally important that it is the ABG that manages the overall system for permitting exploration for and development of minerals. It can make sure that what benefits mineral landowners does not have excessive negative impacts on others.One of the ways in which the Bill seeks to deal with such issues is imposing a strict limit on the number of large-scale mines that can operate in Bougainville at any one time. There can be no more than two. Any more than this would cause unmanageable impacts. The ABG must also ensure that there is some equity in distribution of the income generated by large-scale mining. If all income went just to minerals landowners, and all other people missed out, we would rapidly develop great inequality amongst Bougainvilleans. And great inequality is a recipe for violent conflict. So it is in the interests of all Bougainvilleans that there is equity in distribution of mineral revenue.The Bill aims for equitable distribution by allocating royalties not just to landowners, but also to development of the whole of Bougainville, and to a special health and education fund. Finally, I must talk a little about the amendments that the Government will be moving in the next stage of debate on the Bill – the Committee stage, which will occur tomorrow.The BEC has already approved five proposed amendments, notice of which has already been given to all members. Mr. Speaker: The fourth amendment is to correct an error in the draft concerning the term of the Exploration Licence that the Transitional Arrangements Act vested in BCL, over the area of the former SML. The term of the license in the Act was 2 years, but the Bill mistakenly says 5 years. That error will be corrected by the proposed amendment to section 367(3), making the term just 2 years, and from 8 September 2014. Mr. Speaker Before I finish my comments, I must emphasise that we are only just beginning in the process of taking full control of mining powers in Bougainville. There is still much to be done. As the Minister rightly says, YUMI BRUKIM BUS. As we implement the new law, we will find things that need improving. I am sure that there will be a need to make amendments, and regulations under the Bill. That is one of the best things about autonomy – we are now in control of mining, and can make the changes we think are necessary.Mr. Speaker, Finally, I congratulate the Minister and his Department, as well as all the other ABG agencies that have worked so hard to fulfil the directions that the Bougainville Executive Council has been giving them over the past several years about developing the best possible mining policy and law for Bougainville.I, too, commend the Bill to the House. The proposed amendment to section 269 is intended to make it clear that all small-scale mining allowed under section 4 of the Transitional Arrangements Act will continue to be permitted under the Bill during an 18 month period while the ABG Mining Department sets up the arrangements for operating the new community mining licence system. The fifth amendment concerns small-scale mining. Under the PNG Mining Act most small-scale mining is illegal unless done in or close to a river bed (alluvial mining), on a miners own land, and without mechanisation. Section 4 of the Transitional Arrangements Act 2014 rejected that, and made small-scale mining legal, if done on the miner’s own land, or on other people’s land with the permission of the owners. On close examination of section 112, it became evident that in most cases of transfer of shares in a company holding an EL the wording used would not permit action to withdraw an EL. The proposed amendment to section 112 would require action to withdraw an EL in such cases. The current wording of section 112 was taken from the Bougainville Mining (Transitional Arrangements) Act 2014, which had in turn been taken from the PNG Mining Act 1992. It is intended to result in loss of an EL if the either the holder sells the EL, or if there is transfer of significant blocks of shares in a company that hold an EL. The third amendment concerns section 112 of the Bill, that aims to prevent commercial dealings in an Exploration Licence (EL) in the 2 years after it is registered. Such provisions in mining laws aim to ensure that EL holders are serious about exploration and don’t just seek commercial advantage through trading in an EL. The second proposed amendment involves section 46(2). It says that a geological survey area cannot be proposed over an area the subject of an Exploration Licence application made by a landowner-controlled company established under section 113 of the Bill. This amendment has been proposed by a group led by Mr. Sam Kauona. My Government supports the proposal, because it is consistent with the ABG policy of supporting direct landowner involvement in Bougainville’s mining industry. The first proposed amendment concerns the coming into effect of the proposed Bougainville Mining Act 2015 after it is enacted. It will enable the Bill come be into effect while also giving the Minister power to direct that no applications for any tenements may be registered for a specified period. This will provide the time necessary for the Mining Department to set up tenement administration, while allowing other provisions of the Act to take effect. Over time, too, we want to see small-scale Bougainvillean miners develop the skills and capacity to take on mining on a bigger scale, in larger areas, under Artisanal Mining Licences (which can cover up to 5 hectares and involve more expensive machinery than will be permitted under community mining licences). In the next ABG, if I am still President, we will aim to develop schemes that encourage small-scale miners to move towards getting artisanal mining licences. Another critically important indicator of the fact that we are not focused solely on Panguna can be seen in the strong focus in this Bill on small-scale mining. Hon. Minister Oni has already spoken about the Community Mining Licences that will be administered by COEs and VAs. This is an innovative system, another world first, as far as we know, directed to encouraging Bougainvilleans to generate their own revenues. At the same time, the aim is to ensure that they do small-scale mining in ways that are safe for their health, and for the environment. And to signal that our focus is not limited to Panguna, I am proposing now, here in this House, to change the name of the ABG Office of Panguna Negotiations. Instead in the future it should simply be the Office of Mining Negotiations, or something similar. But we also know that there are leaders and communities in other parts of Bougainville that want mineral exploration. And as always, my government remains ready to talk to such areas. So at this stage, the ABG does not know whether Panguna will ever re-open. But our options with mining are not limited to Panguna. There are many difficulties involved when considering re-opening Panguna. There are divisions about the issues involved. There are high expectations about compensation and related issues. And if demands of this kind are too high, the project will not be economic. AS for BCL and Panguna, I have no idea if BCL will return. Since we passed the Transitional Bill, in August 2014, BCL’s parent company, Rio Tinto, is in the process of undertaking a review of its investment in BCL. It’s entirely possible Rio will decide to walk away from that investment. If that happened, we would have to look at other options. The Mining Bill is not a Mining Bill about Panguna, or BCL, or Rio Tinto. It’s a Bill about the future of the whole of Bougainville. It is an unfortunate truth that at this stage, the only way any of us can see of generating this revenue is mining. But we need to approach this with great care. Mining itself is not a sustainable activity, as the minerals are a finite resource, and once they are gone they are never replaced. So the key will be to use the mining revenue wisely, to promote and generate sustainable economic growth. True autonomy, or true independence, will only come when we have our own sources of revenue, capable of providing the best possible services to our people. Where will the money needed for such things come from? Right now we Bougainvilleans are not much better than beggars. We beg for our entitlements from the National Government. We beg and cajole the donors. As President, I want to see us getting the best possible hospitals, health centres, early childhood centres, schools, universities, technical education centres. I want to see us developing clean power, like hydro, and good roads to all accessible areas, good shipping services. These things are the essential basics for us gradually developing a sustainable economy where all share in benefits. Ultimately, the main reason why we in Bougainville are considering allowing large-scale mining again is because we need revenue to advance or development. WE lack even the most basic acceptable standards in essential services, like health and education. WE lag behind the rest of the world. Without significant ABG revenue, that situation will never change. by Aloysius Laukai in Kubu. The controversial Bougainville mining Bill has been passed by the ABG house. 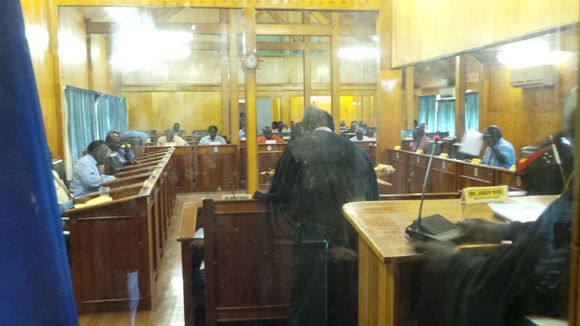 (file photo above ) The bill went through the 3rd reading to become a Bougainville law just after 11.35 am March 26 Bougainville Standard time. This now completes all the negotiations and dissatisfactions by factions of the communities throughout Bougainville. The bill did not go un challenged but had to go through scrutiny by former combatants who demanded certain sections removed before they can allow the government to finally pass the bill. At the time of the passing of the bill the house was full to capacity as people witnessed the passing of the bill. Bougainville Mining News: Ex-combatants in Bougainville support controversial Bougainville Mining Act. “The government has done everything to thoroughly explain to the people the new Bill and how it will greatly regulate the extractive industry on Bougainville.We cannot continue to undermine the government for it is the very thing that we fought and died for, doing so only renders the purpose of our struggle moot, .We are all behind the government and will not resort to creating instability within the region. Ex-combatants in Bougainville have rallied behind the Autonomous Bougainville Government to support the passing of the controversial permanent Bougainville Mining Act. The ex-combatants met with the ABG and its officials this afternoon (Tuesday) to express their support of the bill and assured ABG President Grand Chief Dr John Momis of their intent. 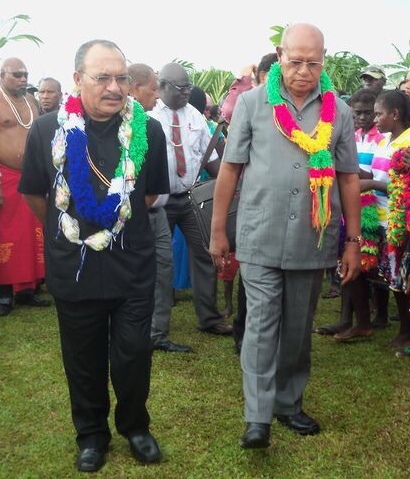 The permanent Bougainville Mining Bill is the brainchild of the Momis led ABG in its efforts to curb mineral resource problems that led to the bloody ten year civil conflict on the island. The Bill if passed will give landowners a pronounced say on how mineral extraction is carried out on their lands and also controls the type of would be developers interested in mining on Bougainville. The Bougainville Mining Department as well as the Bougainville Justice Department have been carrying out widespread awareness on the issue throughout Bougainville to explain the intricacies of the Bill to Bougainville communities. Despite being hailed as a successful attempt by the government to protect Bougainville’s interests there have been certain elements who continue to argue that the bill is a sham and designed to sell Bougainville. Foremost amongst its critics is former Bougainville Revolutionary Army strongman Sam Kauona who claims that the Bill lacks certain details that safe guard Bougainville from being exploited again. But a different sentiment was echoed by Mr Kauona’s former comrades who claimed ownership of the government and in this light respected the ABG’s intent on passing the Bill. Spokesman for the ex-combatants, Cornelius Solomon said the government has done everything to thoroughly explain to the people the new Bill and how it will greatly regulate the extractive industry on Bougainville. “We cannot continue to undermine the government for it is the very thing that we fought and died for, doing so only renders the purpose of our struggle moot,” Mr Solomon said. Mr Solomon said that the ex-combatants were all behind the government and would not resort to creating instability within the region. 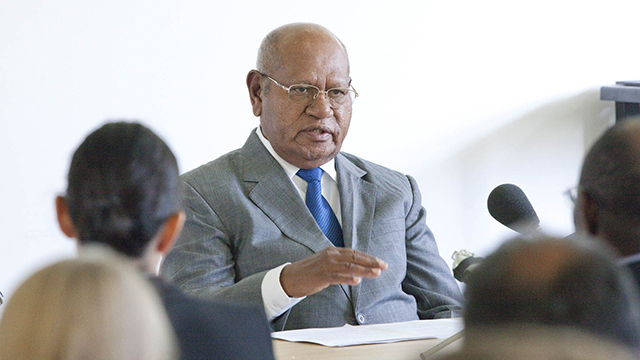 President Momis and his government also expressed their gratitude to the ex-combatants for taking the initiative to recognize the ABG’s efforts to act in the best interest of the people of Bougainville. The Bill will be tabled sometime this week in the Bougainville House of Representatives as the members prepare to sit for the final sitting of the ABG second house since coming into office in 2010 before if goes to the polls in May. NRL PNG In-Country General Manager, Mark Mom. The League Bilong Laif program is expanding into a fourth region of Papua New Guinea, commencing its school-based rugby league activities in the Autonomous Region of Bougainville this month. League Bilong Laif uses rugby league as a tool to support education outcomes. 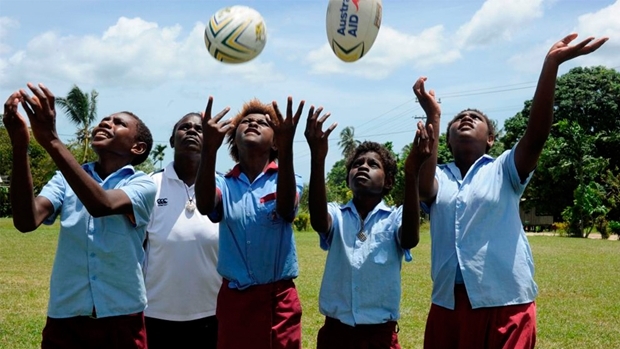 It is funded by the Australian Government and delivered by the National Rugby League (Australia) in partnership with the PNG National Department of Education and Bougainville’s Department of Education. Photo : Children at Malasang Primary School at the launch of League Bilong Laif. Copyright: NRL Photos. Each participating class receives five sessions of rugby league-related on-field and in-classroom activities that are non-contact and non-competitive and designed for girls and boys of all abilities. The program uses a range of rugby league-themed educational and reading materials that the NRL has developed with Macmillan Education Australia that encourage healthy lifestyles and boost students’ physical, social, literacy and maths skills. “Bougainville has been a nursery for many great rugby league players, including Kumuls representatives Bernard Wakatsi, Joe Katsi, Lauta Atoi (now the Honourable Member for North Bougainville), and Chris Siriosi (former Chief Secretary of the Autonomous Bougainville Government),” said NRL PNG In-Country General Manager, Mark Mom. Newly appointed Buka-based NRL PNG Development Officer, Stephanie Garea, said she is honoured to join the League Bilong Laif program, which employs female development officers in all its regions. 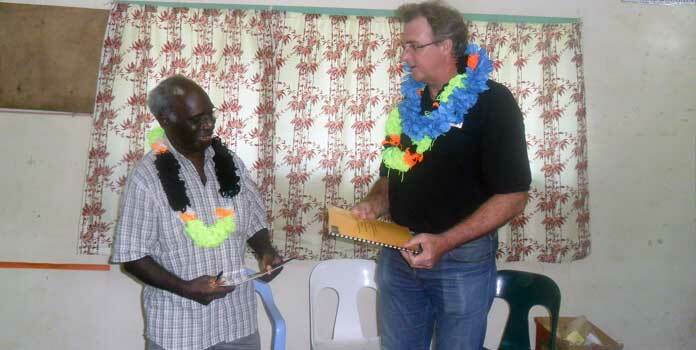 The League Bilong Laif program will roll out into additional schools in Bougainville in term two.